Bosnian coffee at Ministry of Ćejf. Thanks to Kuba for this photo. I quit coffee about a month ago to give myself a break from my daily caffeine habit. I still wanted to try Bosnian coffee before we left Sarajevo so I broke my coffee fast with a trip to Ministry of Ćejf! 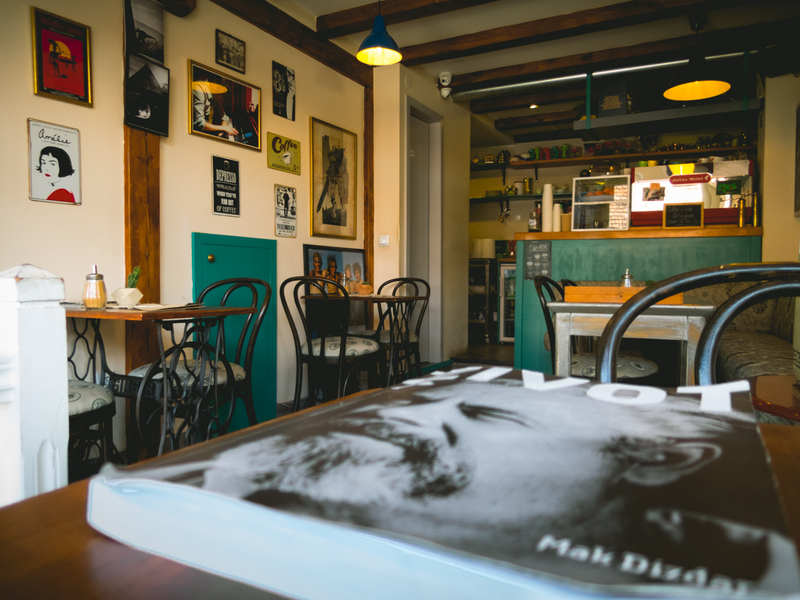 This cafe is located right next door to the best tea house in Sarajevo. How convenient! Ministry of Ćejf caught my eye because it’s the only cafe we’ve seen that advertises vegan options: cookies, juice, smoothies, and almond milk for your lattes. The coffee was delicious: smooth and not bitter at all! It was served in a handled copper pot along with two sugar cubes, a Turkish delight, and a glass of water. The water was sweet and slightly floral. I’m not sure what it was flavoured with, but to me, it paired well with the coffee so I didn’t waste a drop. This cafe is also non-smoking, which is nice! They have a wee patio out front, wi-fi and ample seating. The music selection was pretty fun(ky) too. My kind of place! If only you could hear the funky beats….Thanks to Kuba for this photo! 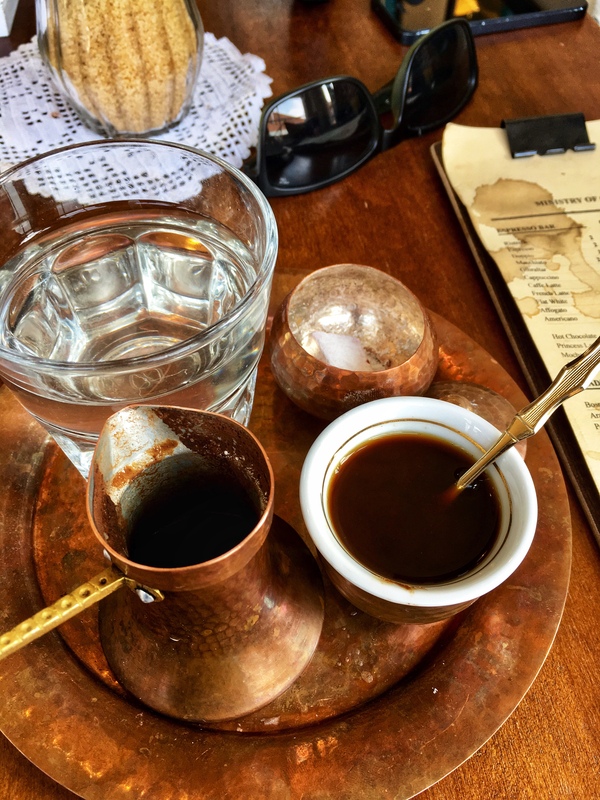 AND if you want to learn more about Bosnian coffee, check out this helpful blog post: The Complicated Culture of Bosnian Coffee. 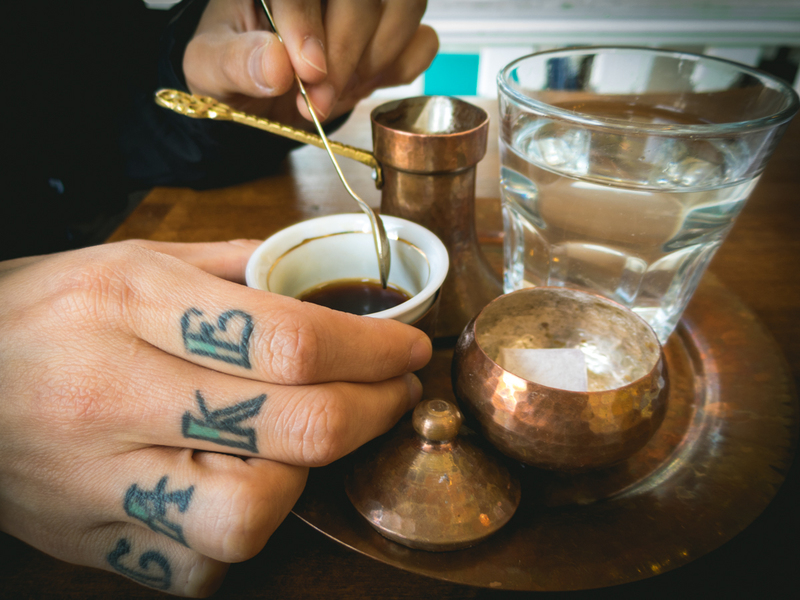 I’m glad we had the chance to try this cafe and Čajdžinica Džirlo before leaving Sarajevo. 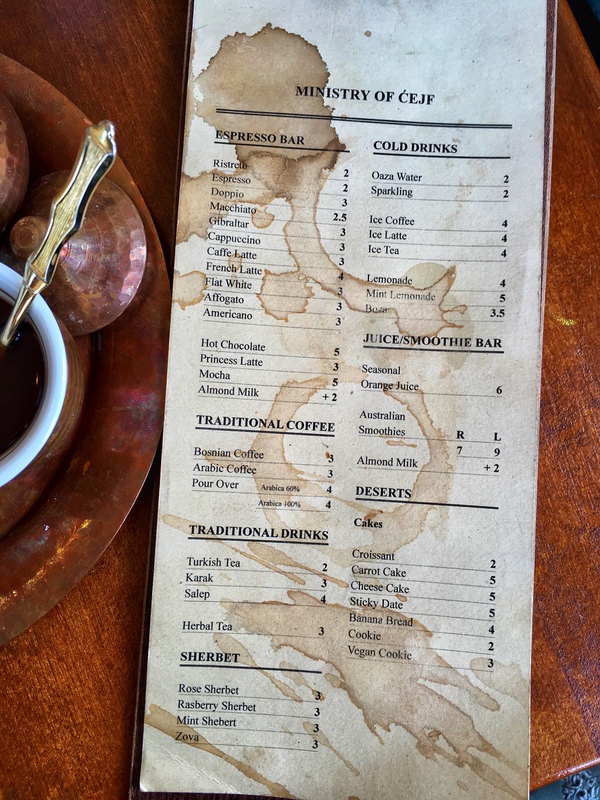 I got to try Bosnian coffee (a perfect way to end a month without any) and now Ministry of Ćejf’s vegan salep is on my list for next time. We’ve been here for almost two months and tomorrow we are off to Zagreb. I can’t believe it’s finally time to start our journey north to Poland where we’ll buy our new home: a Volkswagen T4 Transporter! We’ve planned this for over a year now so it feels so good to be this close to making this dream our reality. 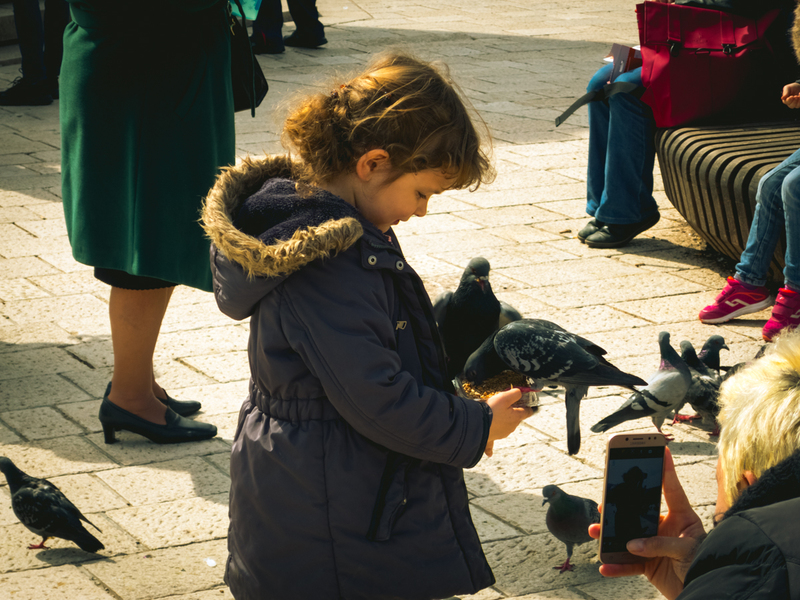 I’ll miss walking through Sarajevo’s Old Town, especially Pigeon Square. Thanks to Kuba for this photo.